Agile performance testing and monitoring are critical to a product’s success, that is no secret. But no matter how thorough pre-production testing and QA processes are, it’s difficult to account for all the potential issues. 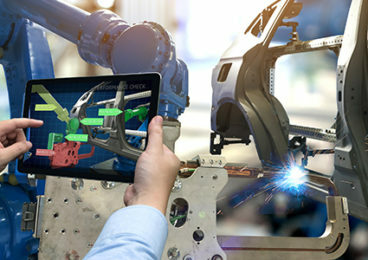 Production environments present infinite combinations of hardware, software and other variables that can impact how an application performs. And new digital technologies introduce a whole new variety of performance bottlenecks related to open source tools, automation, integration and analytics. At the same time, the stakes have never been higher for companies with digital users expecting higher service levels and uninterrupted performance. The inability to meet these expectations on any channel can negatively impact customer satisfaction, employee productivity and company profits. These pressures have driven delivery teams, especially those in digital-driven businesses, to move their workload to Agile. The benefits – increased productivity, faster time-to-market, and enhanced market responsiveness – are well documented, but Agile also ramps up the pressure to assure quality at the same speed. Adding Agile into the mix makes it even more challenging for test/QA teams, especially when it comes to performance testing and monitoring. By design, Agile development teams churn out new code at a rapid pace and thus performance testing has to be conducted within individual sprints. There are benefits and challenges to this reality. On the plus side, problems impacting application performance can be identified earlier and more easily in the development process, making them far less costly to fix, and preventing potential release delays. On the negative side, the shorter development cycles in Agile require more tests in less time. This can lead to performance testing being done at the end of a sprint, or skipped until the next sprint. The risk of releasing code that is not adequately tested can cause bigger issues down the road when they are much more difficult to address, not to mention the potential impact on user satisfaction. – Performance testing is typically conducted when an application is fully developed and functionally stable. In an Agile environment, we have to adapt so it can be conducted within each sprint. – Developers in Agile environments depend on accelerated feedback cycles – so they can address performance issues in the current code vs. spending the extra time required to go back through code they worked on weeks or months ago. So, the earlier performance testing can be done in the sprints, the better. – To conduct performance testing properly in Agile environments, we need to address it at the code level in parallel with development; for newly developed features in each sprint; and for the larger system integrated with those newly developed features. Performance testing during the regression phase is also required to identify any configuration, hardware sizing, or infrastructure issues. 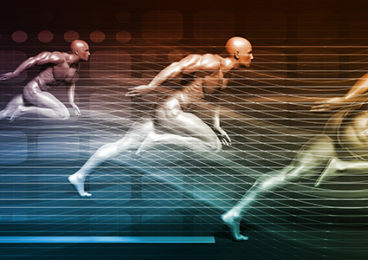 – Automation can significantly speed up your performance testing in Agile environments. There are a number of good tools available to help create reusable test scripts, and schedule tests to run during off hours to meet the tight timeframes involved. With all the above in mind, it’s even more critical to have a well-defined methodology to follow. Below is a four-stage process we use with our clients to keep things on track and assure reliable outcomes. We established these steps for our clients to thrive in any environment, especially Agile. 1. Define and Design – This is where we define the performance requirements, select the performance testing tool or tools and procure the test environment. We also define the test data and identify usage scenarios and potential risks. 2. Develop and Baseline – Here we install and test the performance test environment, populate test data, and design test scripts. We record, develop and test the test scripts, and finally, we execute the scripts for debugging and base-lining. 3. Test and Tune – Here we execute the test scripts and add virtual users to identify bottlenecks. That allows us to then tune the application server, the web server and database, and the overall infrastructure and network. 4. Certify and Deploy – Here we do an extrapolation analysis based on the performance data. We can then look at capacity planning at the web server, app server and database levels, and in general, deploy the risk mitigation plan. In the digital world, effective application performance testing can often be the difference between success and failure. This is even more true in Agile environments where the faster pace can make performance problems more damaging to your brand and exponentially more difficult to remediate. To help your team address the performance testing requirements in Agile development environments, keep the factors above in mind and make application performance a priority in every iteration. Identifying application performance issues before they impact end-users – take Infostretch self-assessment to compare your current QA approach with industry best practices. Click here to learn more about Infostretch’s performance testing services. 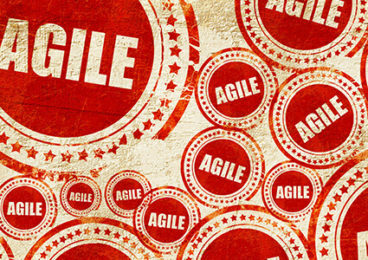 Interested in our Agile Services?, Performance Testing Services? No excuses. You need Performance Testing.